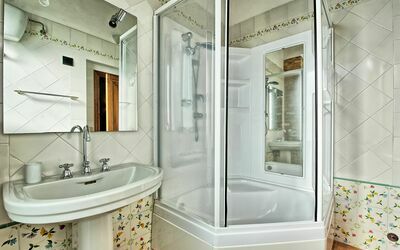 Book 20 days or less before the arrival date and receive a 20 % discount off the published rental rates. 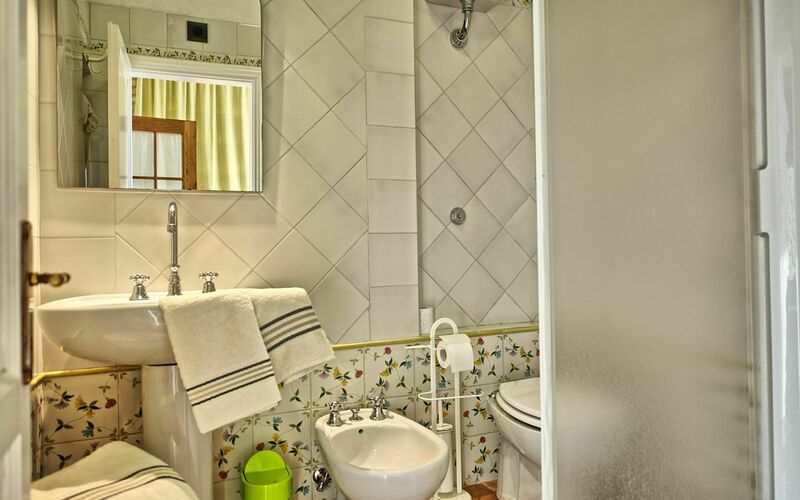 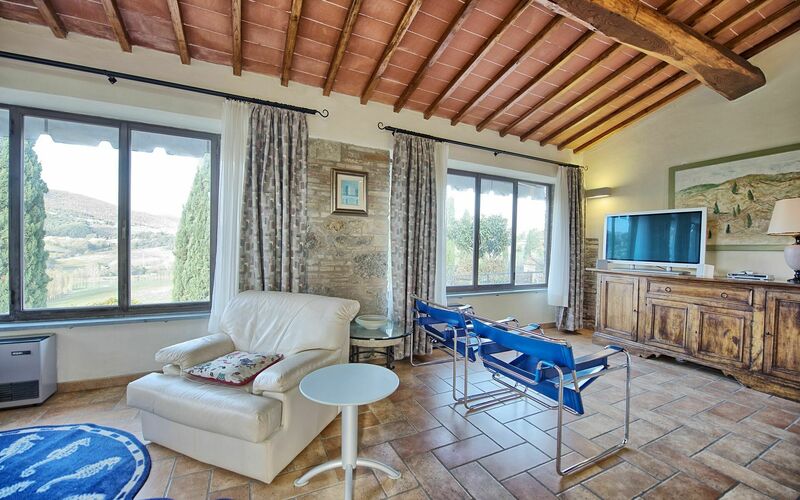 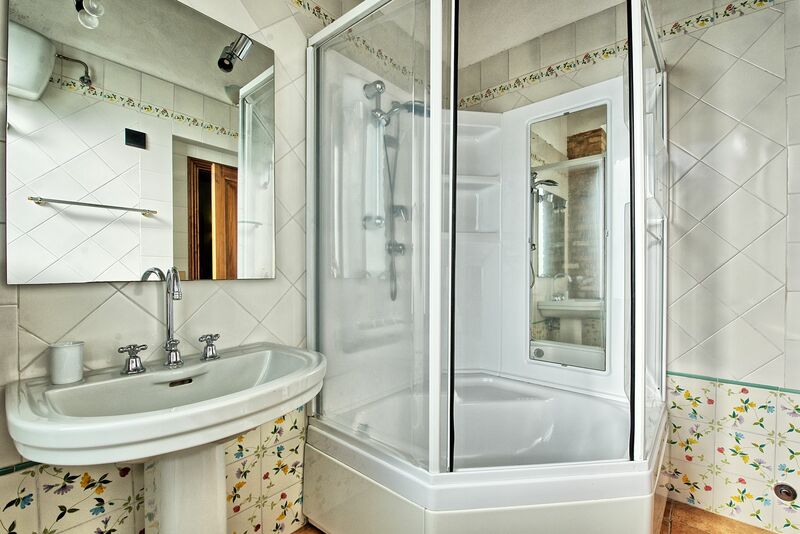 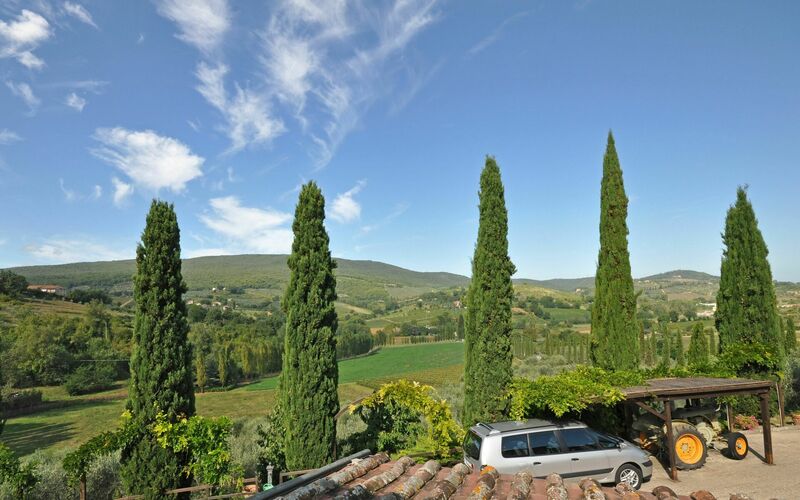 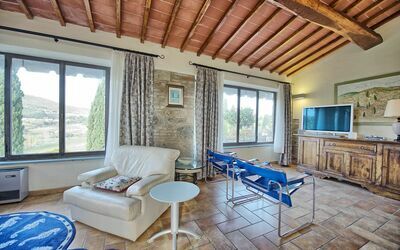 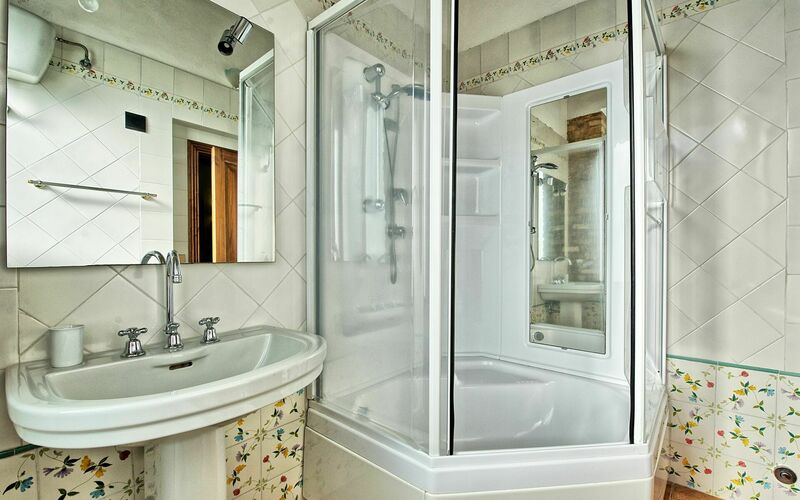 Ground floor apartment fully renovated in an old barn, including of a large kitchen with dining room, large living room with TV, 1 single sofà bed (€ 50 per week) and beautiful views of the countryside, double bedroom, 2 bathrooms with shower. 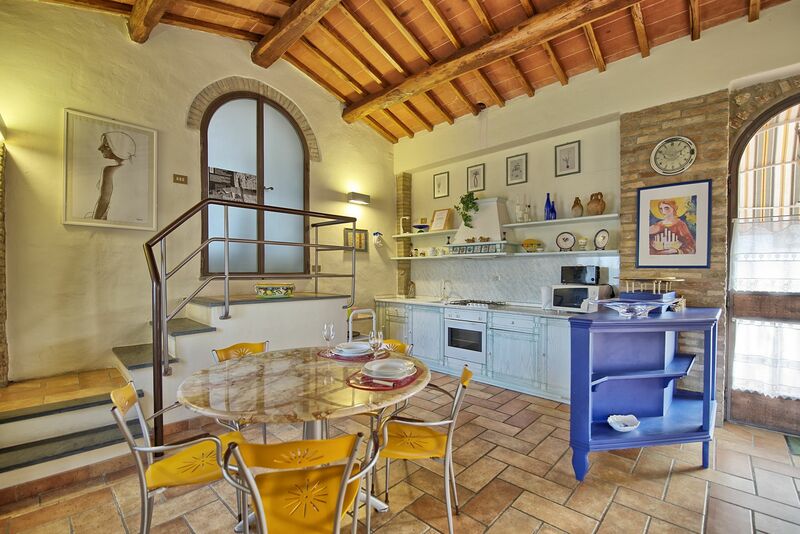 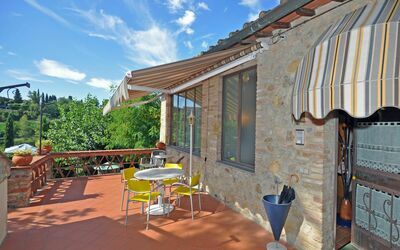 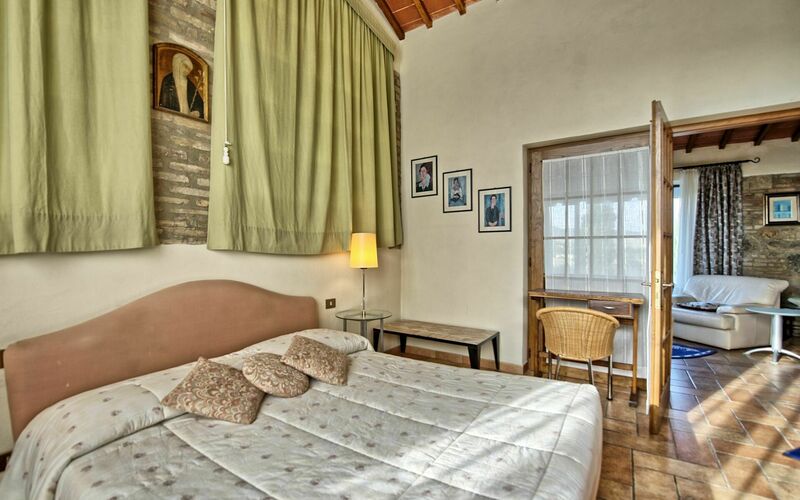 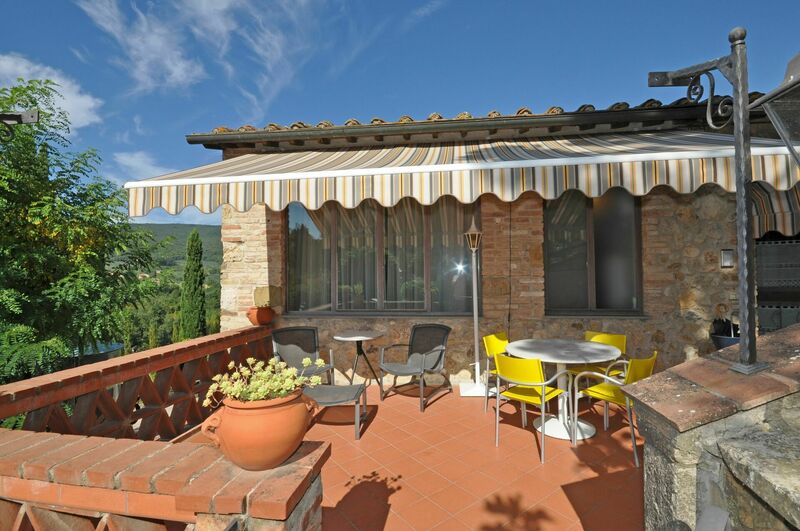 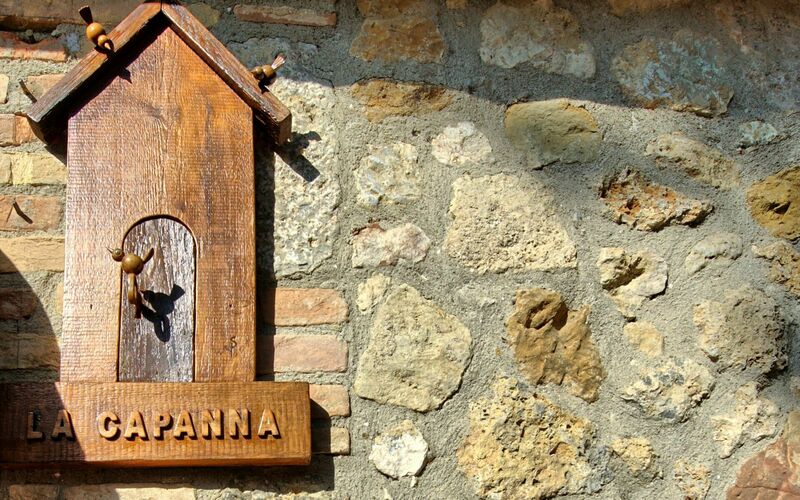 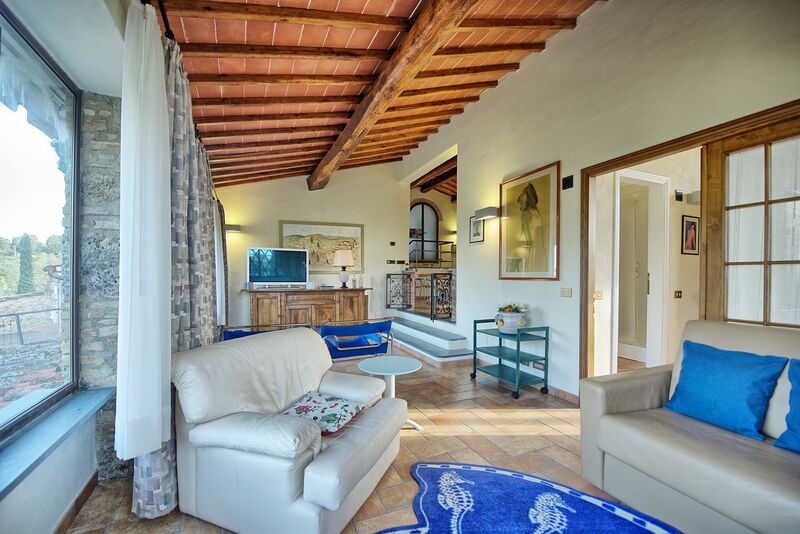 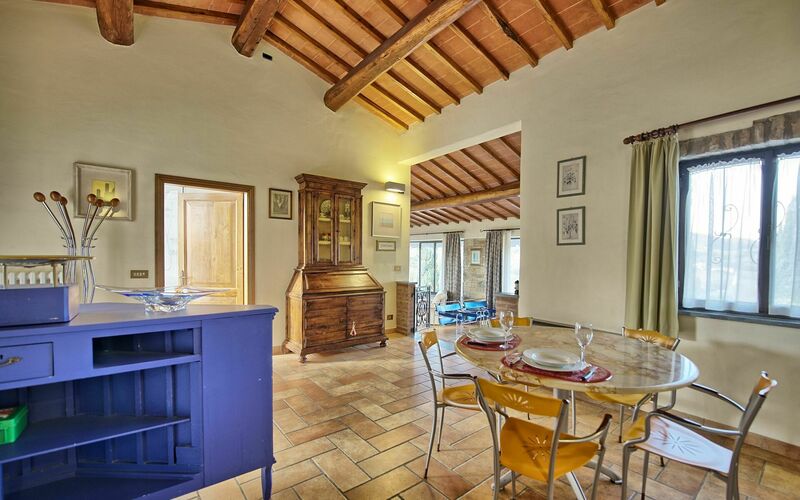 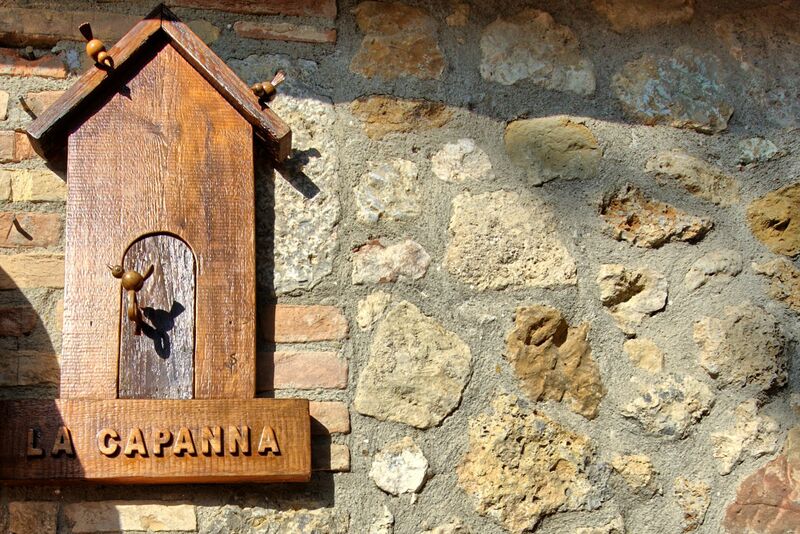 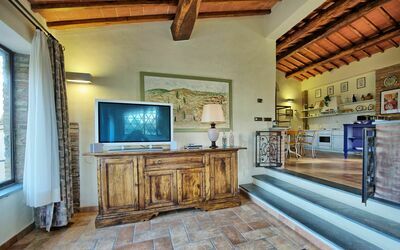 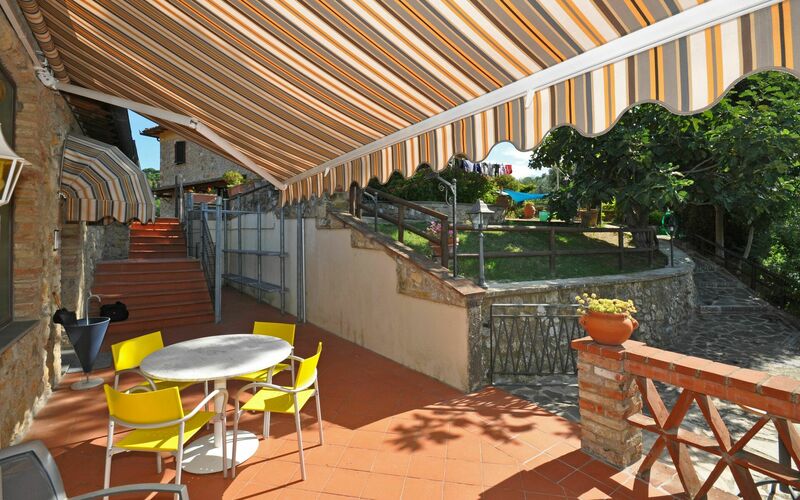 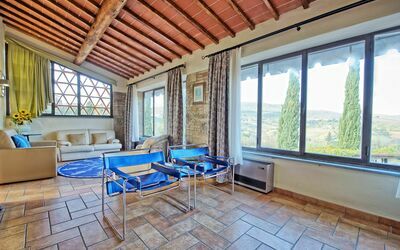 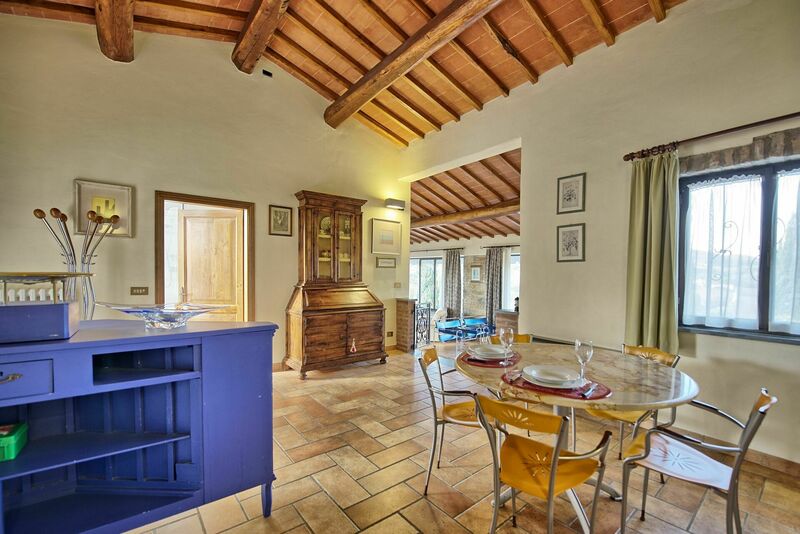 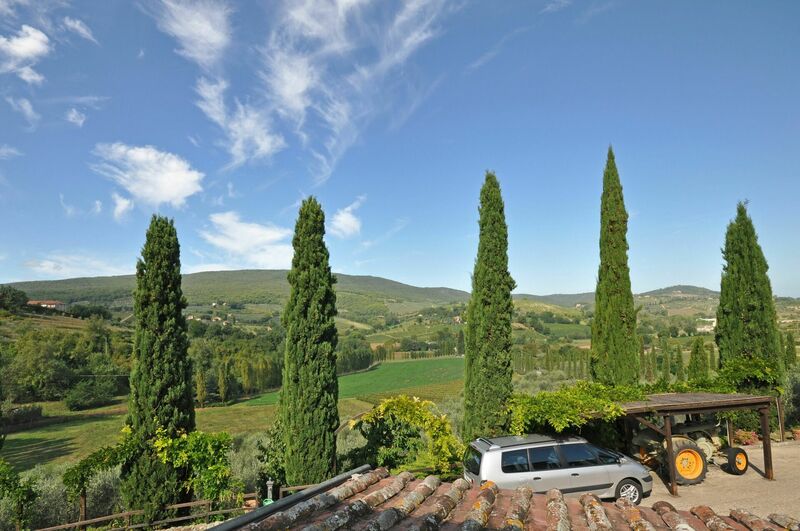 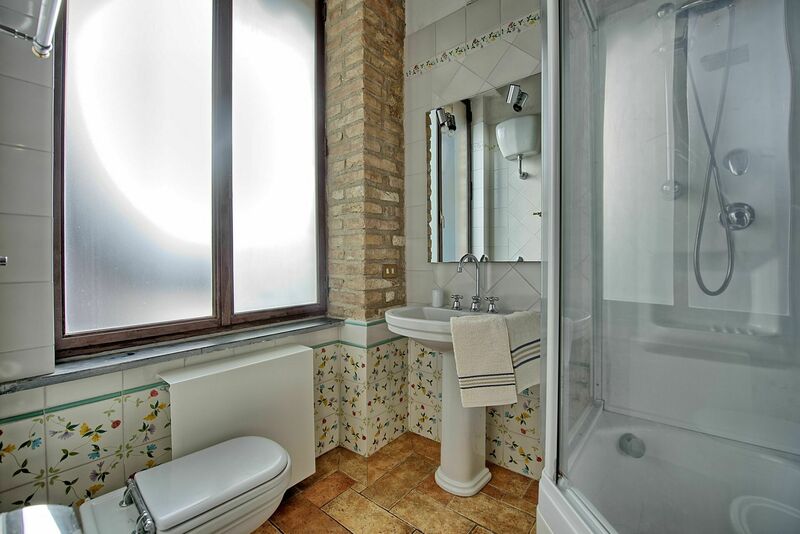 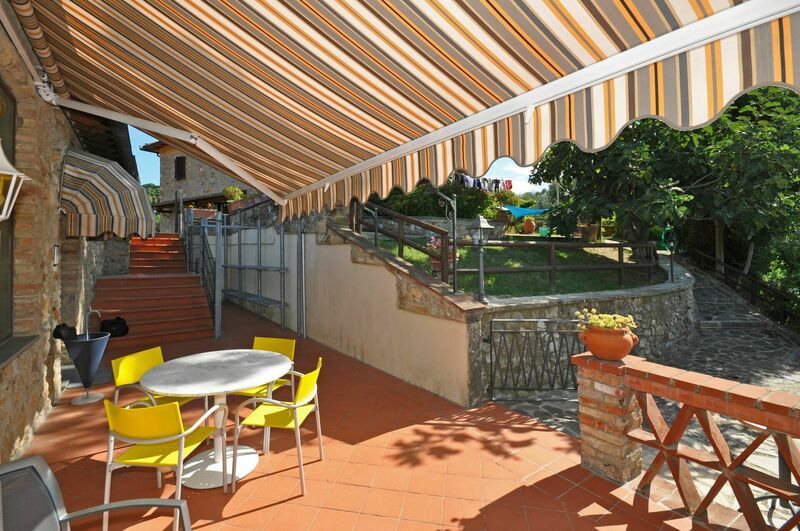 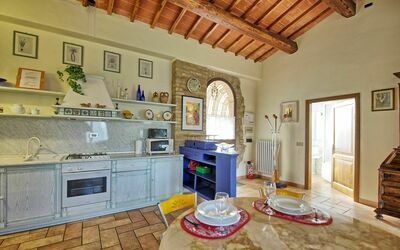 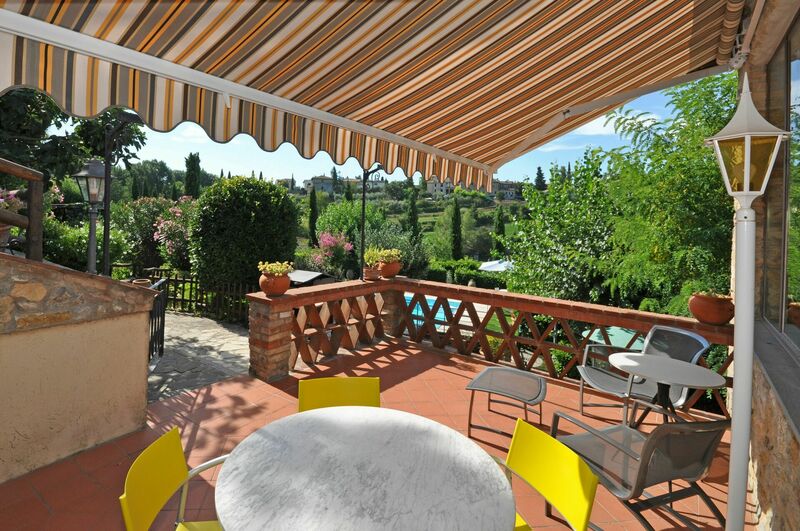 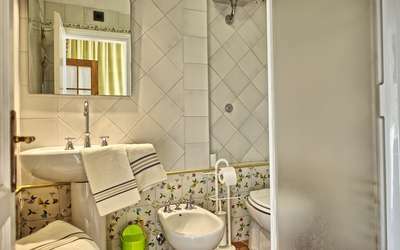 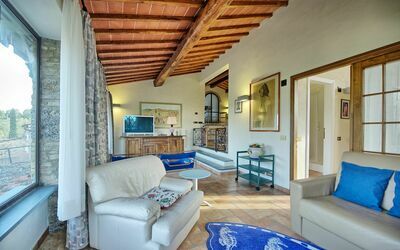 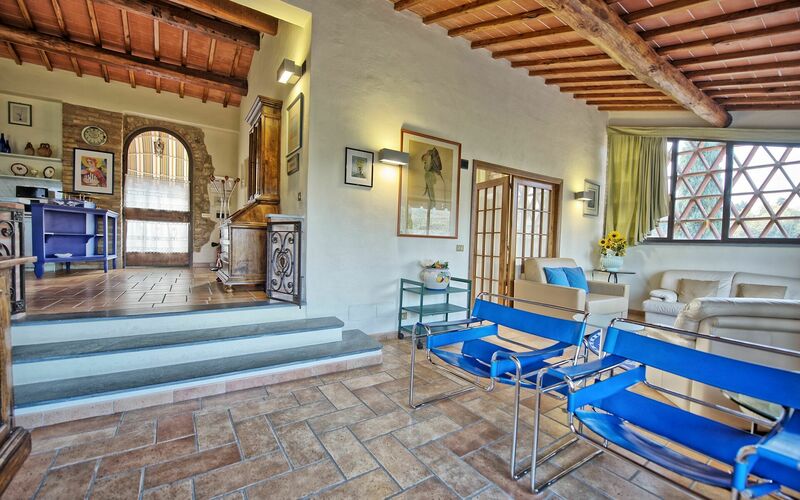 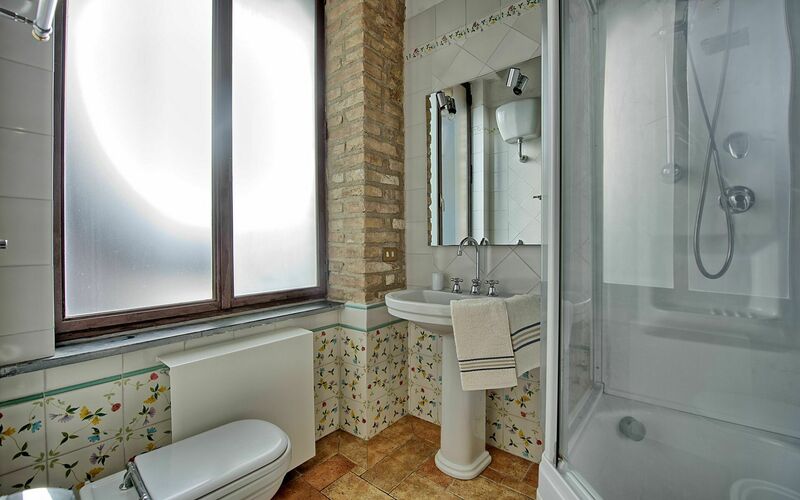 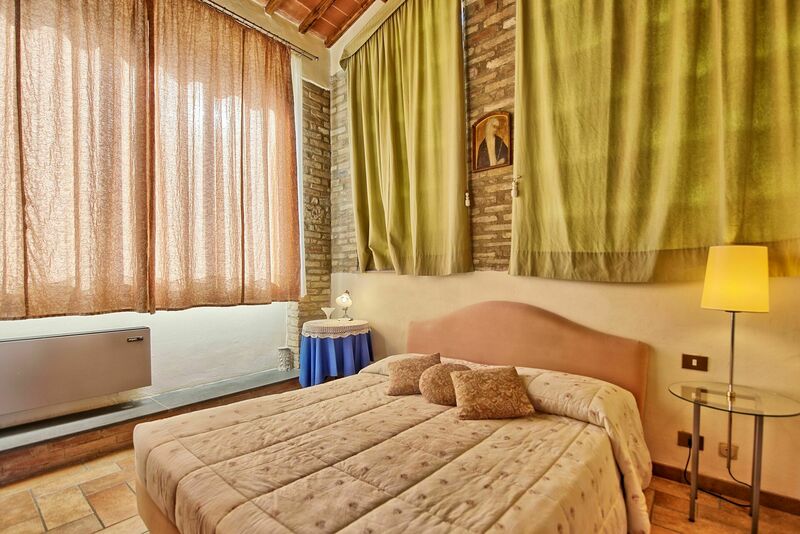 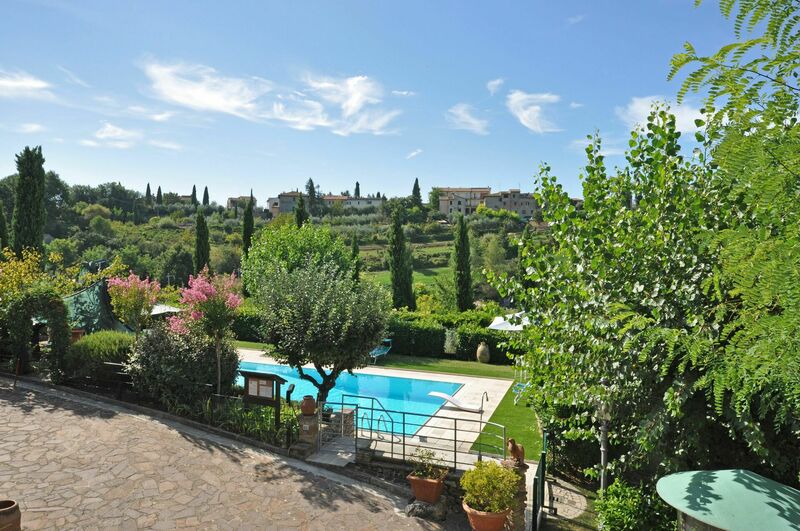 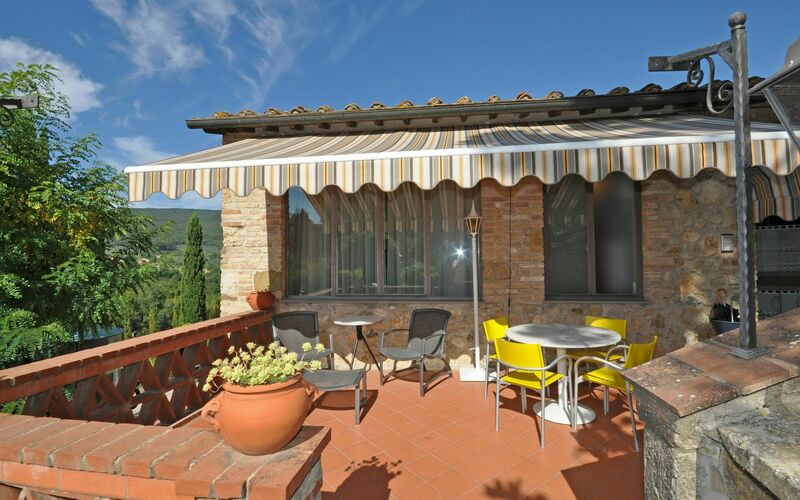 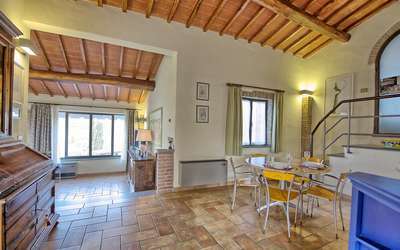 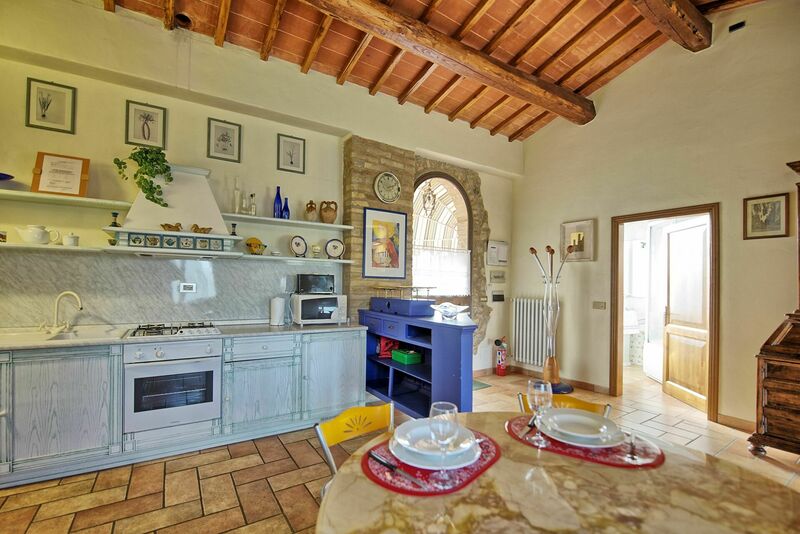 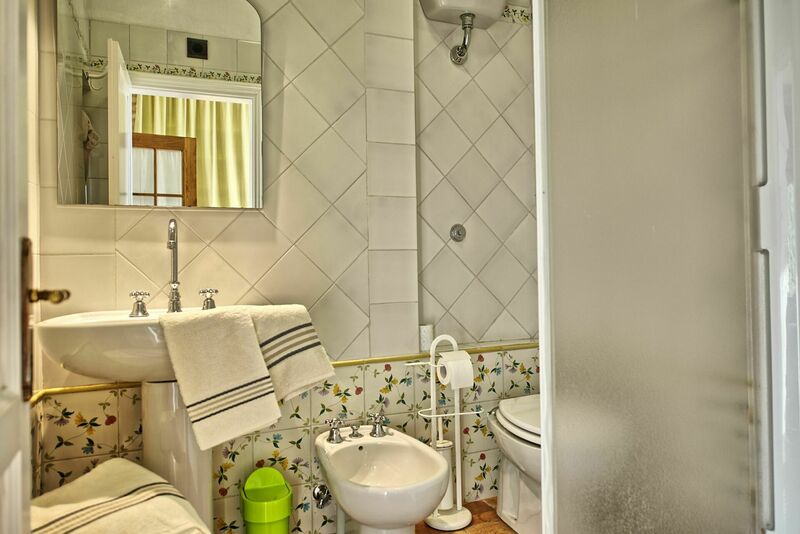 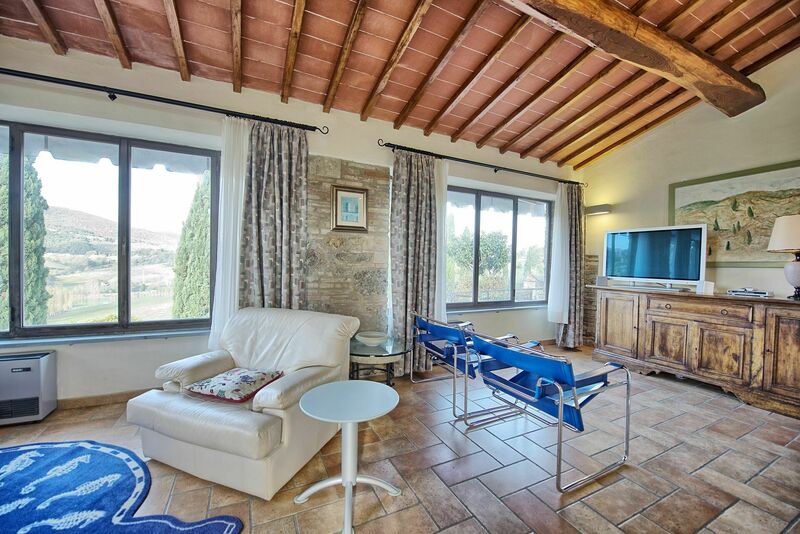 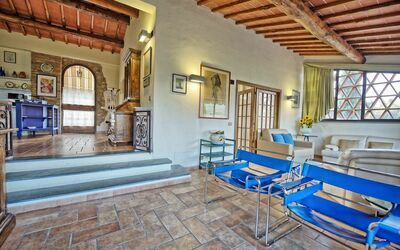 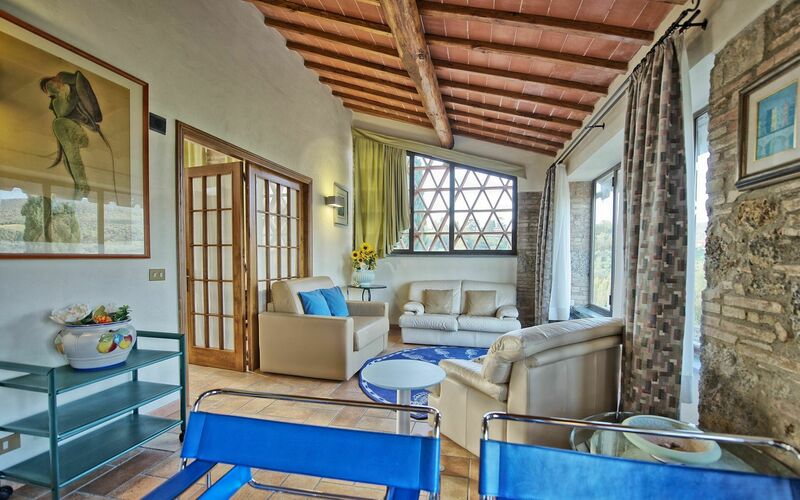 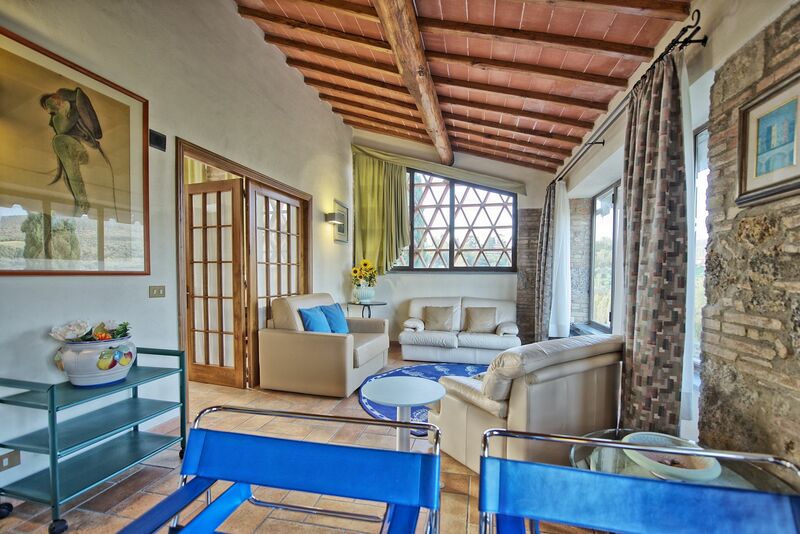 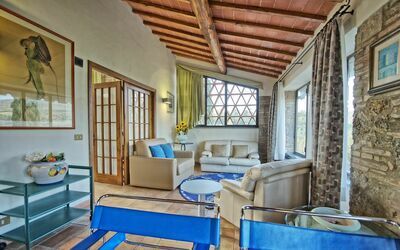 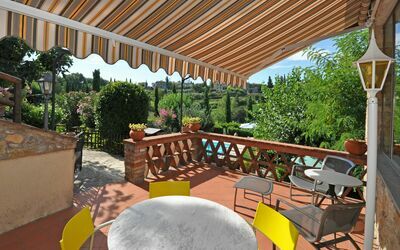 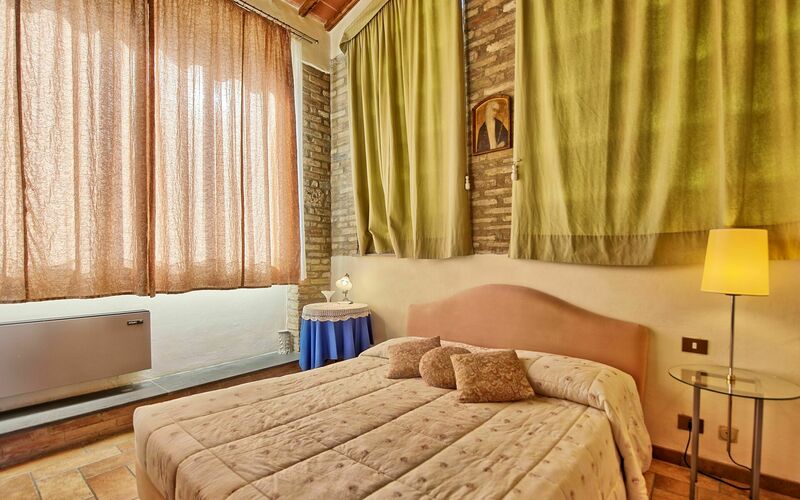 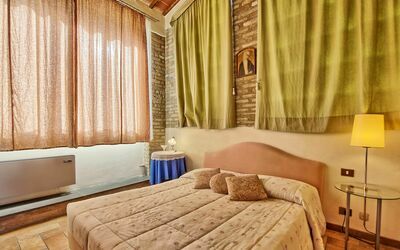 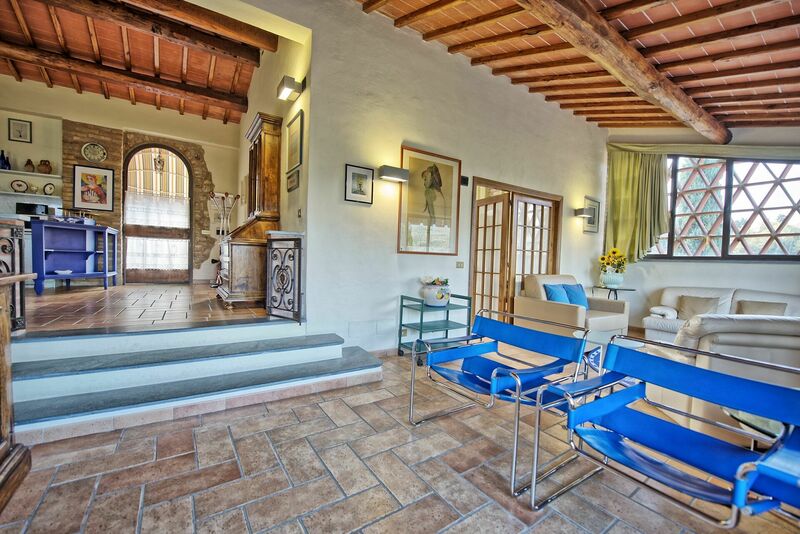 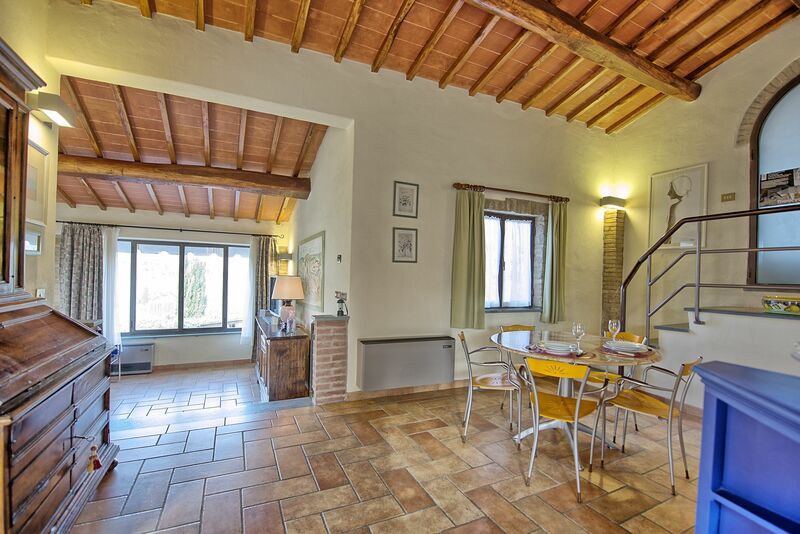 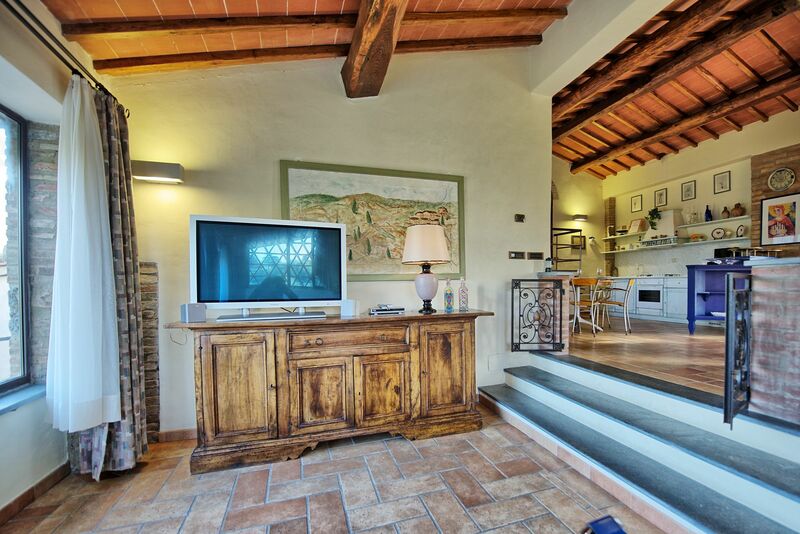 The structure is of a typical Tuscan cottage with high ceiling and wooden beams. 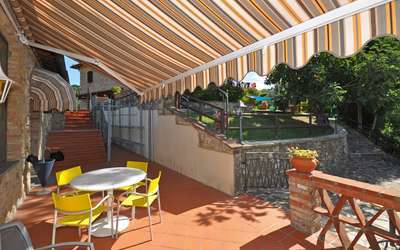 It has a large privateand fenced deck and barbecue facilities.